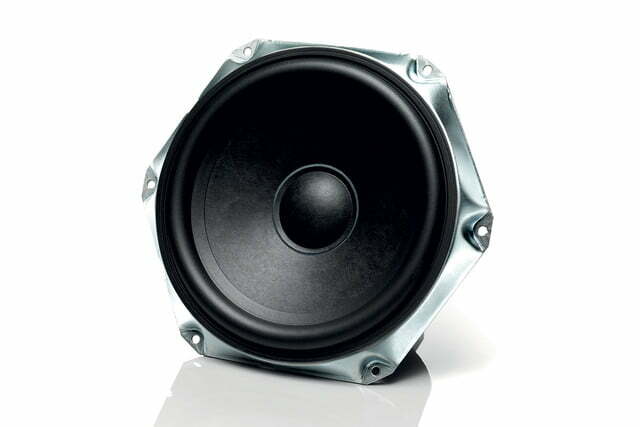 6.5” subwoofer featuring a large magnet and ultra long-throw voice coil. 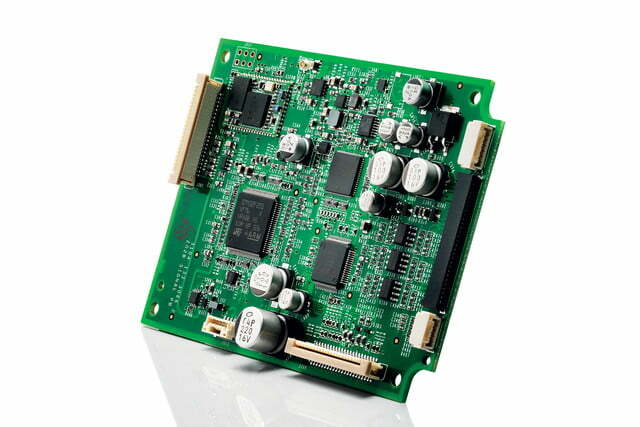 Digital Signal Processing (DSP) is twice as powerful as the Zeppelin Air. 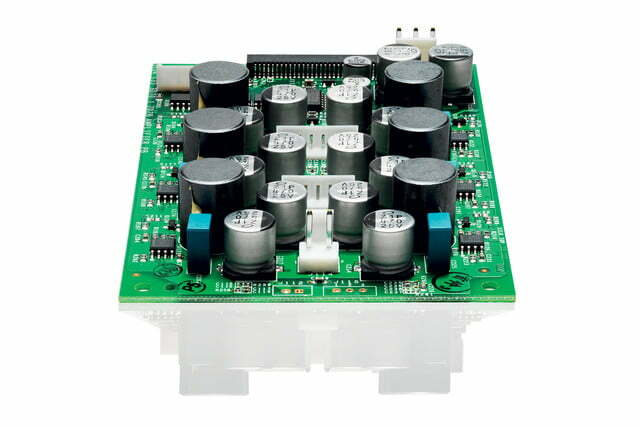 Audiophile-quality 192kHz/24bit Digital to Analogue convertors (DAC). All five drive units are driven by dedicated bespoke amplifiers. 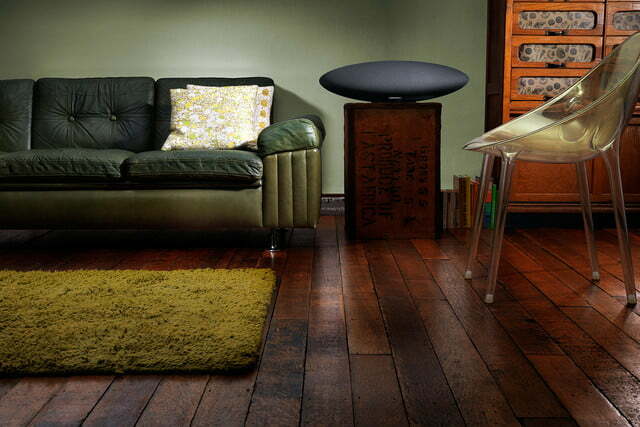 As Bowers & Wilkins approaches its 50-year anniversary, it seems to think now is the time to do some revamping. In September, the company unveiled its new 800 Diamond Series 3 flagship speakers, which were completely reengineered from top to bottom. 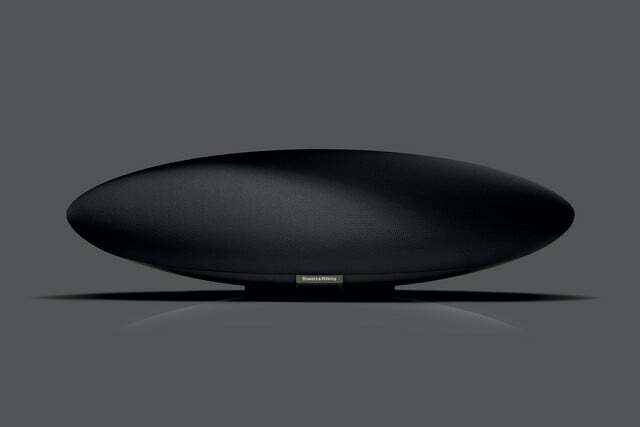 And now, in the “low end,” B&W has given the same treatment to its Zeppelin tabletop speaker series. 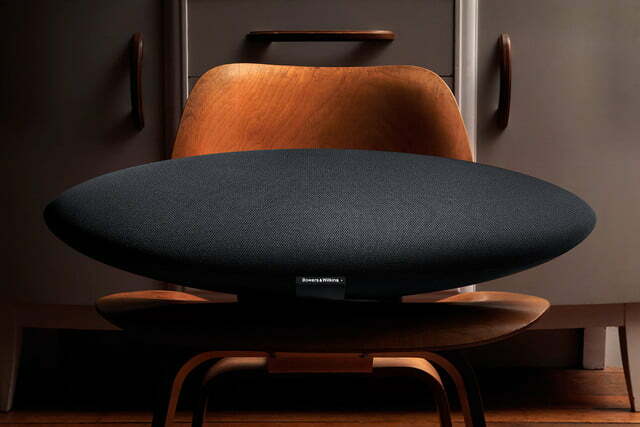 The new Zeppelin Wireless ($699) retains its familiar namesake shape, but inside are completely redesigned components to deliver even better sound than before. 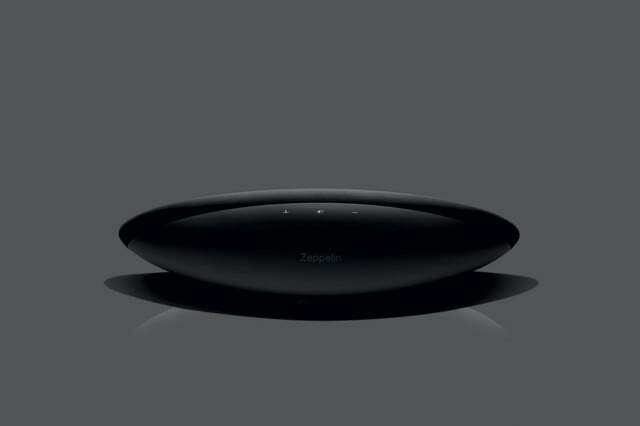 If the Zeppelin Air is the best iPod dock speaker on the market, then the Zeppelin Wireless could be the best Bluetooth speaker. In the luxury goods market, calling something entry-level is a bit misleading. Yes, you could classify the Mercedes C-class and BMW 3-series as “affordable” luxury cars, but that doesn’t put them in the same space as an entry-level Kia, for example. The same analogy could be applied to the Zeppelin: In the B&W ecosystem, the Zeppelin is downright cheap in price when compared to the new 800 DS3, which starts at $4,000. But the Zeppelin Wireless is a premium product throughout, and B&W hasn’t watered down the product in order to achieve a sub-$1K price point. Rather, it’s improved it. On the outside, you’ll notice that the chrome accents and iPhone dock, found on previous generations, are now gone. 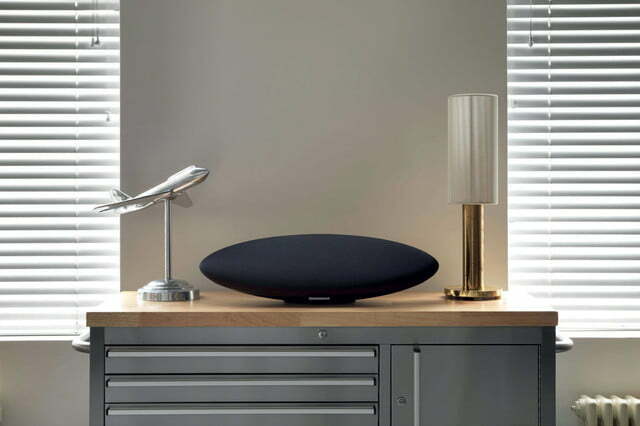 B&W has turned the Zeppelin from an iPod/iPhone dock speaker to a true wireless product that supports Bluetooth (AptX), AirPlay, and Spotify Connect (via Wi-Fi). 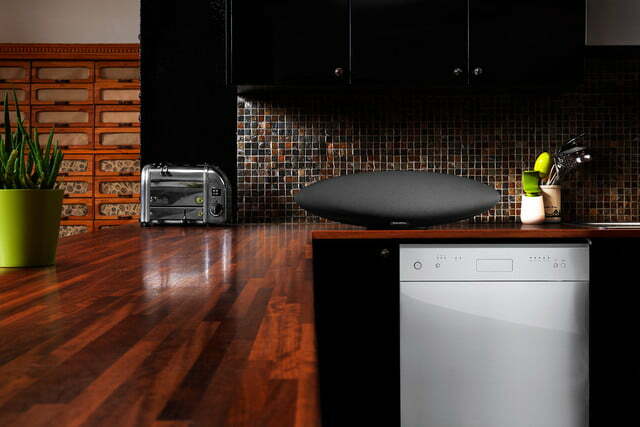 In doing so, B&W not only created a cleaner looking product (we thought the chrome on the Zeppelin Air felt a bit cheap anyway), but an agnostic tabletop speaker that works with any device – iOS, Android, Windows Mobile … whatever. The B&W Control App for iOS, Mac, and PC has been improved for easier setup (although strangely, an Android app is missing). Going completely wireless isn’t much of an innovation when the cheapest of Bluetooth speakers are moving in the same direction. What makes premium speakers worth their salt is the engineering, and the same team that worked on the 800 DS3 also rebuilt the Zeppelin. 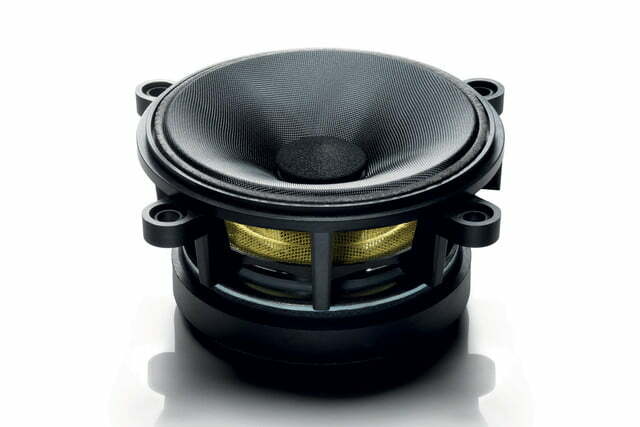 From the dual 1-inch double dome tweeters to the two 3.5-inch midrange drivers and larger 6.5-inch subwoofer, as well as the amplifier and Digital Signal Processing (DSP) and Digital to Analog (DAC) chipsets are all new. 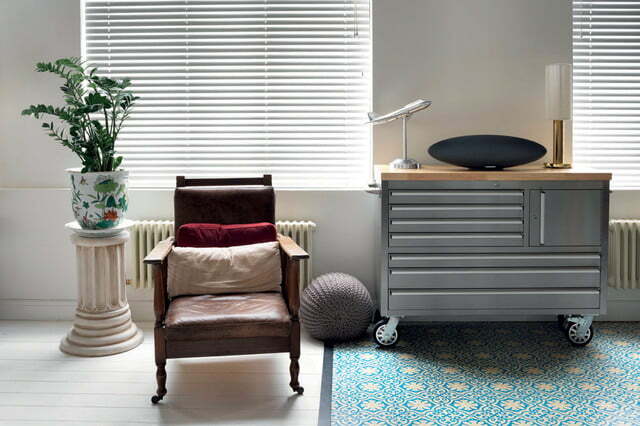 Treble is cleaner with the tweeters; voices and instruments come in clearer thanks to the Fixed Suspension Transducer drivers; the larger throw of the subwoofer delivers deeper, tonally on-point bass; the DSP is twice as powerful as the one in the Air; and the DAC does a better job at processing the digital data to create truer, more dynamic sound. All this without changing the look and size of the physical unit. But the new components aren’t solely responsible for the improved sound (which we will get to in a minute). One reason why B&W is now totally reengineering its products is because there’s technology available to help improve design. Using the same type of 3D software used by aircraft and auto manufacturers, in which they mimic the laws of physics, B&W engineers could determine where strengths and weaknesses were and create better prototypes. Its engineers knew its products could be better, but they didn’t always know how; computer software can now locate where in the cabinet sound resonates, which affects clarity. 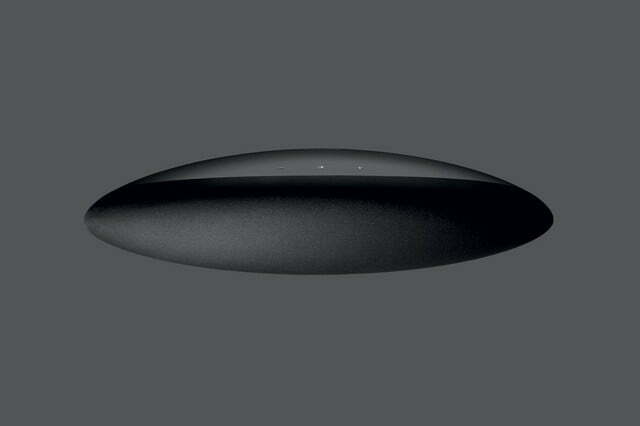 In analyzing the previous Zeppelin Air, B&W made the front fascia of the Zepellin Wireless 50-percent thicker and used glass fiber ribs to strengthen various parts of the cabinet. 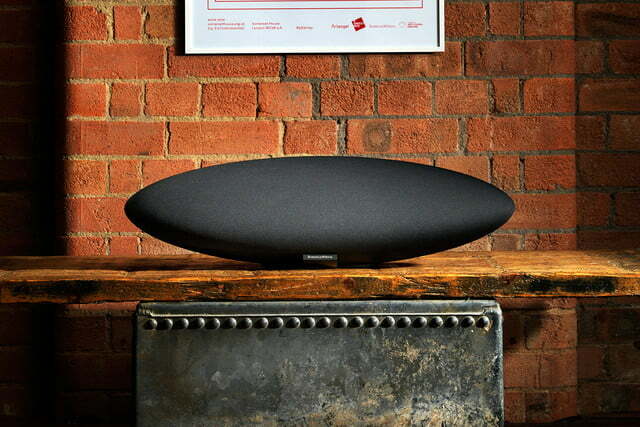 The Zeppelin is an aspirational product – something that brings in a new generation to this storied brand. If you think the oblong shape is odd, there’s a reason why B&W is sticking with it. The tweeters are placed as far apart from each other in order to deliver stereo sound. 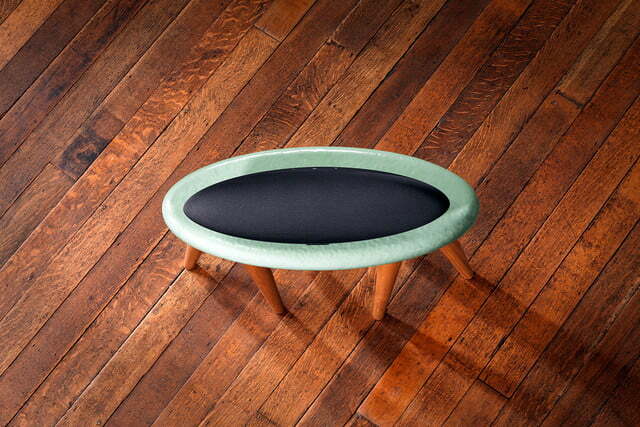 The tapered shape, from left to right, has an acoustical function. 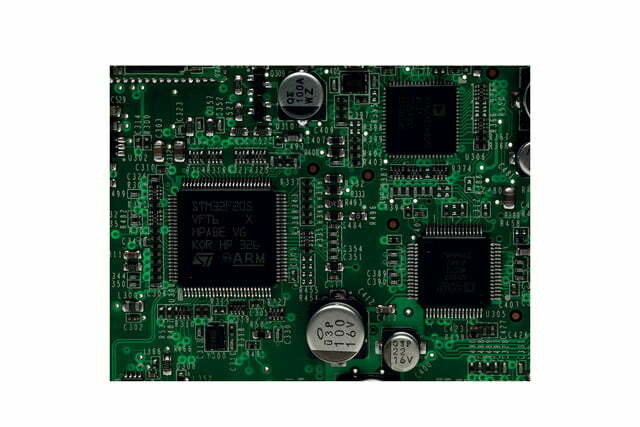 The placement of these parts is what led to the elongated design – form follows function. We had a listening session inside a large, high-ceiling room with windows. 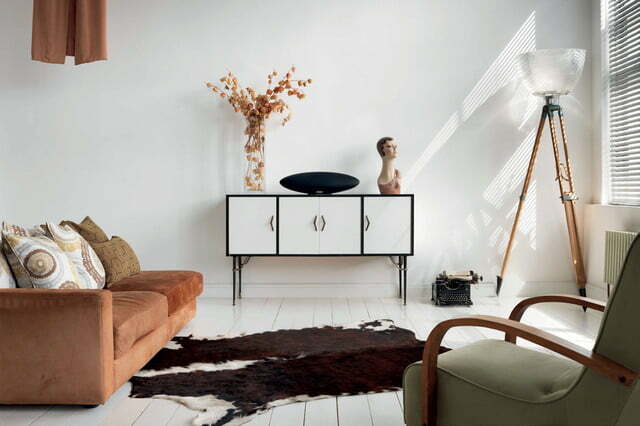 While not an ideal environment, both the Zeppelin Air and Zeppelin Wireless speakers B&W brought along provided nice big sound. But it was in the comparison listening where the improvements proved immediately noticeable. 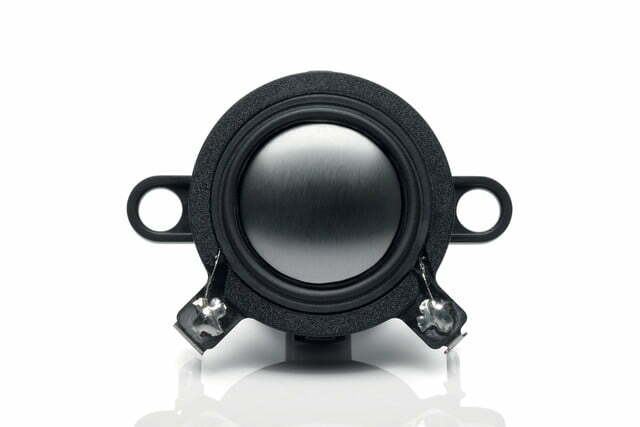 The quieter cabinet and new components delivered substantially clearer sound. Instruments, vocals, and bass weren’t fighting with one another, as there’s greater separation of space. 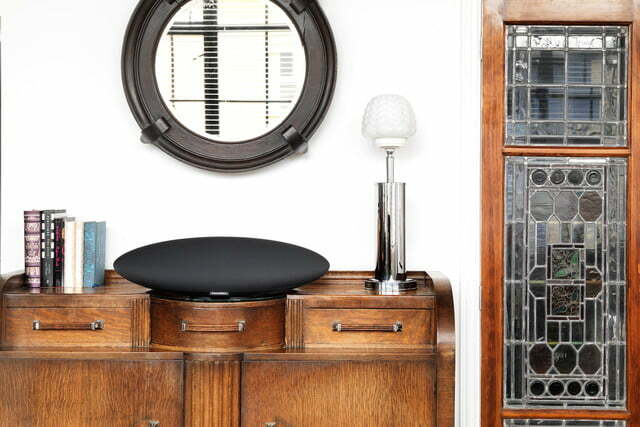 The Zeppelin Air isn’t a bad speaker (we gave it our Recommended award and applauded its sound quality), but the Zeppelin Wireless sounds cleaner and is just plain better. 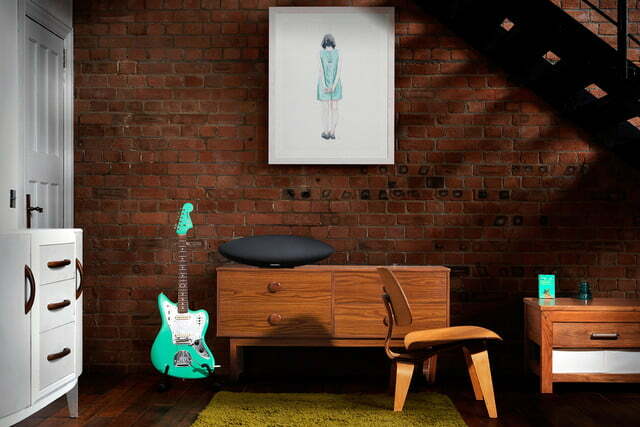 Because the new Zeppelin gets its input signal both wirelessly and through Ethernet, varying sources will have an effect on sound quality (AirPlay is a better signal than Bluetooth, for example), so keep that in mind. But no matter the source, it all sounds really, really good. 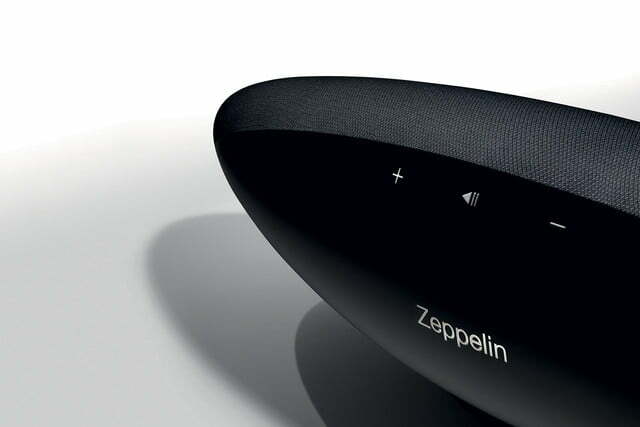 We have the Zeppelin Wireless in our testing lab and will be putting it to the test, so stay tuned for a more thorough sound check. But, from our first experience, we can say this: If the Zeppelin Air is the best iPod dock speaker on the market, then the Zeppelin Wireless could be the best Bluetooth speaker. 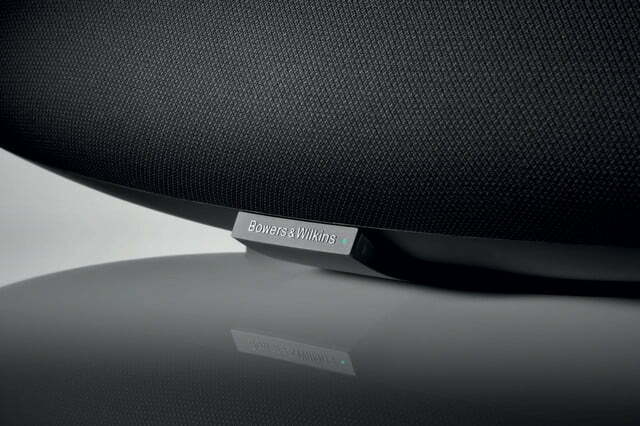 With the Zeppelin on one end and the 800 DS3 on the other, B&W says it has a “full-circle package” of products. 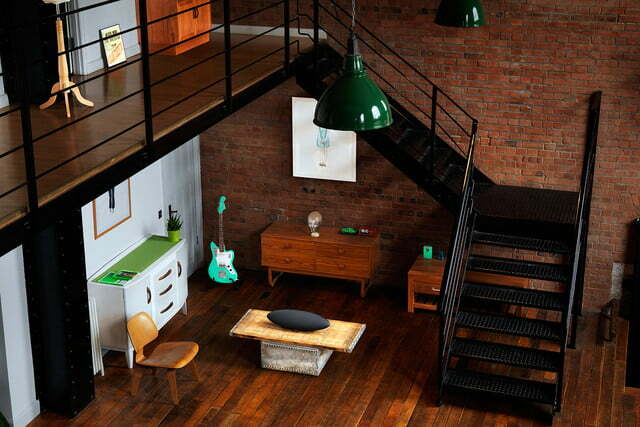 At $699, the Zeppelin Wireless isn’t exactly affordable, but B&W has no intention of depreciating its brand. 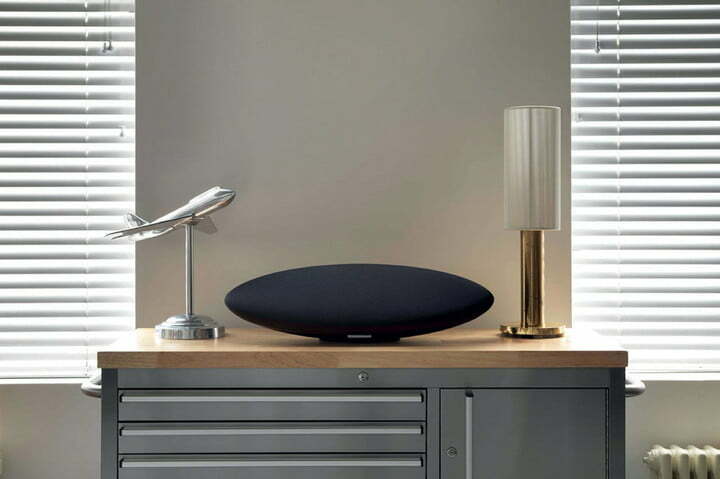 Like a 3-series or C-class, the Zeppelin is an aspirational product – something that brings in a new generation to this storied brand, and grows them into the more expensive speakers. 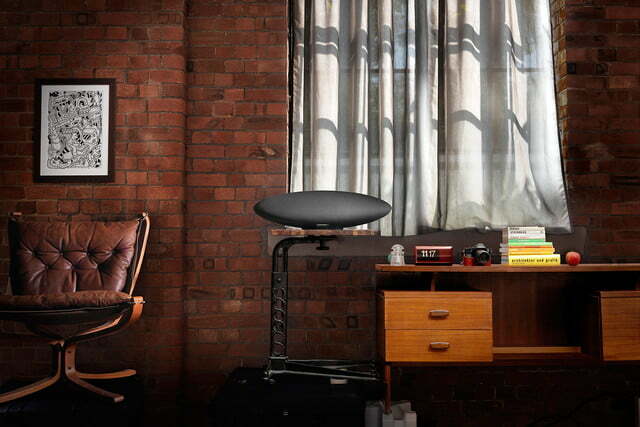 But forget all that for a minute, and let’s look at the Zeppelin Wireless for what it is: It’s all about creating the best sound possible, and that’s really what this company cares about anyway.